The US fired the second shot in the trade war by announcing to impose additional 25 percent tariffs on $16 billion worth of Chinese products on Tuesday, following on from the 25 percent tariff on $34 billion worth of Chinese imports effective from July 6th. The newly imposed tariffs will be officially implemented since Aug. 23. A spokesman for the Chinese Ministry of Commerce (MOFCOM) condemned the US on Wednesday for once again putting domestic law above international law by imposing very unreasonable new tariffs on Chinese goods. He said China has decided to impose an additional tariff of 25 percent on $16 billion worth of US goods and will implement it in parallel with the US. The second shot fired by the US is totally within the expectation of China, so the latter has grown more sophisticated in handling this issue. However, there are still something new that are worth paying attention to. The initial tariff list released by the US covered 284 product categories while this time the number was reduced by 5 to 279. The US side knows that it will suffer great economic losses if not removing additional tariffs on the 5 categories. It indicates that the US is seeing increasing difficulties in attacking China without hurting itself. In addition, the second round of tariff imposition received objection from related American industries immediately after it was announced. “We have made the case to the administration, in the strongest possible terms, that tariffs imposed on semiconductors imported from China will hurt America’s chipmakers, not China’s,” President and CEO of the US Semiconductor Industry Association (SIA) John Neuffer said in a statement. The US farmers used to be Donald Trump’s firm supporters, but now more and more of them are feeling being betrayed. Tweets against the US-China trade war have spammed the twitter page of the American Soybean Association. Besides, according to the latest statistics from the US-China Economic and Security Review Commission, the US trade deficit with China continued expanding in the first half of 2018 to $185.7 billion, up 9 percent year on year. It indicates that the US will not be able to reduce trade deficits by starting a trade war against China. It has been a month since the trade war was initiated, and the performances of the two sides are in sharp contrast. The US has been acting arbitrarily while China shows restraint and rationality. What the US has done is just aggravate its blackmail from $50 billion, to $200 billion, and then the totally unrealistic $500 billion. It exerted extreme high pressure on China just to crumble the latter. However, such simple and crude method obviously had no effect on the handling of the interwoven trade relations between the US and China. On the contrary, China’s practices have always been rational and restrained. The US has been acting impetuously while China adopts a calm mindset. The core decision makers of the US trade are making remarks almost every day to boost their courage, revealing their wishful thinking of ending the trade war with one-time effort. China, by contrast, is fighting back in self-defense and dealing with the issue with calmness, as it showcases the resolution to keep its head up and fight till the end. The US has been acting unfaithfully while China always keeps its words. This round of trade game between the two major economies exposed how the US has broken its promises to both China and the world. China has always made concise and explicit remarks, and its actions always followed its words. 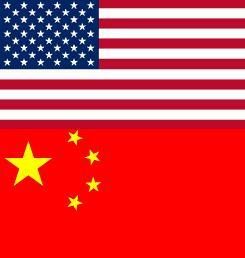 The US has been acting irresponsibly while China always bears in mind the bigger picture. The US is the only super power in the world, and the establishment of the modern global trading system was exactly guided by the country. However, Washington traded the world trading system and rules for private interests, which has led to unanimous critics from the international community. China always stands with the multilateral trade system and rules, paying attention to the interests of the whole. Obviously, Washington failed to act like a responsible major country in this trade war, but China still showcased its consistent calmness and composure even under the pressure placed by the US. The ancient Chinese divination text I Ching, also known as the Classic of Changes, said that even a dragon regrets flying too high, and fullness won’t last long. Based on such ancient oriental wisdom, Washington’s practices are not able to be sustained.